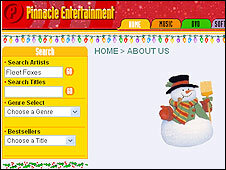 Pinnacle Entertainment, which distributes music from independent record labels and runs a download website, has gone into administration. 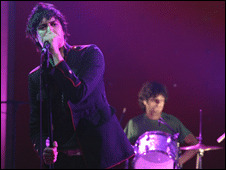 The company, which circulates music by artists including The Strokes and Eva Cassidy, has made 94 people redundant. A spokesman for administrator BDO said it was working to find a purchaser for the business, which remains active. It said Pinnacle had been affected by the "sudden and steep downturn" in the UK's economic fortunes. Pinnacle is responsible for distributing music from independent record labels to major retailers including WH Smith, HMV and online site Amazon. The business also distributes to dozens of independent record stores across the country, while its website enables music fans to purchase music directly. Rough Trade and One Little Indian are among the 400 labels distributed through Pinnacle, encompassing a whole host of artists including Katie Melua and Nitin Sawhney. The Association of Independent Music (Aim) has called an emergency meeting for Friday to discuss what can be done to help the record labels affected by Pinnacle's bankruptcy. The company, based in Sidcup, Kent, was estimated to have a 3.8% share of the albums market in the last quarter of 2008, and brands itself the UK's biggest distributor of independent music. It has "exclusive responsibility for the sales and distribution of over 400 record labels", according to its website. Earlier this month, music distributor Entertainment UK went into administration after parent company Woolworths collapsed. The company was responsible for 30% of the UK's music distribution. Zavvi and WH Smith suspended some online sales after being affected by the failure of Woolworths.